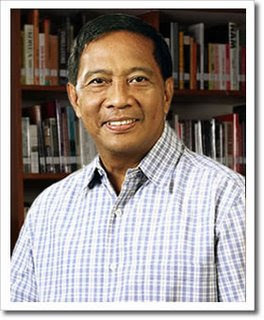 President-elect Jejomar “Jojo” Cabauatan Binay to Department of Interior and Local Governmet (DILG) post. As defined by Wikipedia (DILG’s official website is down), DILG is responsible for promoting peace and order, ensuring public safety, and strengthening the capabilities of local gorvernment units. If Noy appoints Jojo in DILG, it’s like he is giving Jojo the free reign to solidify his connection with the LGU’s. If this happens, Jojo’s chances of becoming the next president is almost certain. No. Noy is not going to appoint Jojo as DILG secretary. He thinks he owes Mar some debt of gratitude after Mar “gave way” to him. Mar gave way to Noy after Mar noticed that despite spending millions especially in tv adds, his rating as a presidential contender was not going up. Jojo declares that LGU is his forte. As proof, he points at his accomplishments in Makati where the senior citizens get to see free movies and receive birthday cake, among other perks to its citizens, and the fact that it is one of the country’s richest cities. But the last thing Noy could do is add insult to Roxas’ s injury by appointing Jojo as DILG secretary. If Noy does this, he has abandoned Mar and his dreams. This action goes against Filipino’s most treasured value called debt of gratitude. Noy can’t do that. And Mar Roxas is not making it easy for Noy either. He refuses to concede and his party, the Liberal Party (LP), is not helping at all. Even before the counting was over, they kept harping that Roxas won based on “their” certificates of canvass. I don’t know where are those certificates of canvass because it was Jojo who was declared the winner anyway. At first, I thought, Roxas party’s harping was just to give Roxas time to absorb the harsh reality, and a gesture to mean that it has not abandoned him, and I was ok with that. But it turned out differently, and instead of coaxing Roxas to concede, it is telling him it will support him should he file an election protest. President-elect Benigno Simeon Aquino. Photo from pinoyweekly.org. It will take a miracle to revive Roxas’ national political career. And LP’s elected president Noy makes sure his fallen comrade career’s rise by making sure he does not appoint a person that will pose a danger to Roxas. “In Roxas City, the hometown of Roxas, the LP vice presidential candidate won over Binay by 16,012 votes from the total 69,140 votes cast. Roxas garnered 39,609 votes (59.5 percent) against Binay’s 23,597 votes (35.4 percent). “Aquino got more votes in Roxas City than the Capiz-born senator. “In contrast, Binay got a bigger vote lead in his home turf, Makati City. Binay got 179,375 votes (64.3 percent) against Roxas’ 74,897 votes (26.85 percent). Roxas’s loss is blamed on his “failure” to connect with more voters in Panay Island. The same news story described this failure: “On the island-resort of Boracay where Aquino and Roxas also won, some LP supporters said Jojo was more aggressive in touching base with voters. “The Boracay Foundation Inc., a group of business owners on the island, invited Roxas last year to their induction of officers but Roxas did not come. Binay, on the other hand, visited Malay town (where Boracay is located), declared it a sister town of Makati and even donated two multi-cab vehicles”. June 2010, Inquirer again published another story written by Norman Bordadora titled “How Jojo did it: Chiz, Mar, Seniors, frat bros”. In the said article, it described how Chiz Escudero intensified his involvement in Binay’s campaign, and reiterated and highlighted Roxas’ failure to connect. Said the article, “taking advantage of the fact that Roxas and his people were not coordinating with local government officials, the Escudero camp began calling these officials as well as members of the House of Representatives to push Binay. That Roxas is not helping the local government units is the same complaint I had been airing since my first blog post against him January last year. His wedding feature’s failure to even mention the province of Capiz shows his neglect to our province. Otherwise, how can he forget the place he represented for three consecutive terms in Congress? I feel redeemed by these articles from Inquirer. I have never heard nor read in any report that Noy abandons a friend. I suspect that this loyalty to his friend Mar is the cause of his refusal to give to his vice president-elect the post his heart desires. But if we are to transform this country (quoting Obama) brick by brick, block by block, callous hands by callous hands, we need someone like Jojo Binay, or so as he proclaims he has the capacity to do. Roxas and Binay’s ambitions combined are nothing compared to the collective desire of the Filipino people to have a better government. Noy cannot and must not ignore Jojo. This man has been pledging loyalty to him from the start. This man gives him the constant assurance that he can peacefully sleep every night as he has no intention of grabbing his position. This man has faithfully served his family through the years. And most of all, this man has been proclaimed his vice president. Majority of the voters of this nation chose Jojo to lead with Noy, and Noy must respect that. And when Jojo Binay says he will serve the people best as a DILG secretary, Noy must give him the chance. Otherwise, his action is tantamount to refusing to respect the will of the electorate. I hope I am wrong in my assumption. But, if I am correct, this issue is no longer about Noy’s loyalty to Mar. This is already about Noy’s loyalty to his country. Will he let friendship, loyalty, and debt of gratitude get in the way in deciding what is best for this country? I hope not. This entry was tagged 2010 elections, DILG, jejomar binay, Mar Roxas. Bookmark the permalink.